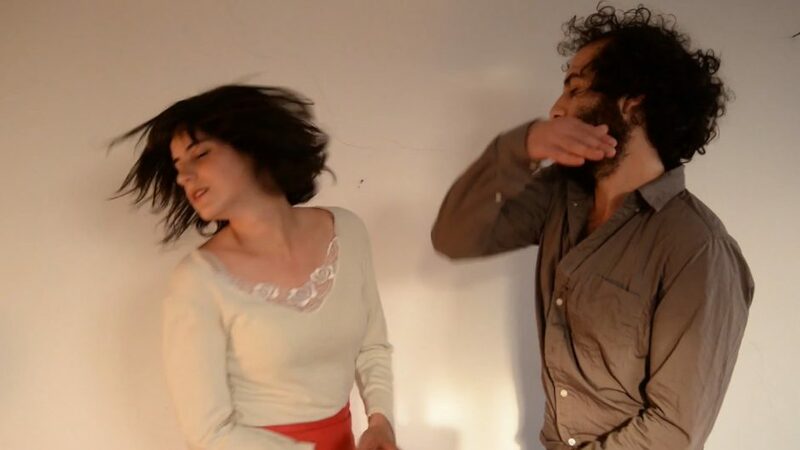 Jeu Claques is a video which explores mechanisms inside a couple. The performance brings forththe complexity and the ambivalence of the known active/passive or dominant/submissiverelationship between two beings. The clapping makes sound a constant key element in the pieceand evokes the self-applause of spectacles. The points of total passiveness or activeness do notexist. While one is doing a silent gesture of slapping the other one produces its sound for him. Thusthe mechanism is transposed in the physical relation between production of sound and production ofvisual.The symmetrical entry of the performers in the frame clearly states that the performance is directed.Yet, this one time performance reveals at some point the tension between reality and fiction.